Sita Navami, also known as ‘Sita Jayanthi’ or ‘Janaki Navami’ is an important Hindu observance that is dedicated to Goddess Sita, who was married to Lord Rama. This day celebrates the birthday of Devi Sita and is observed on the ‘Shukla Paksha’ (the waxing phase of moon) ‘Navami’ (9th day) tithi in the lunar month of ‘Vaishaka’ as per the Hindu calendar. It is believed that Devi Sita was born during Pushya Nakshatra. 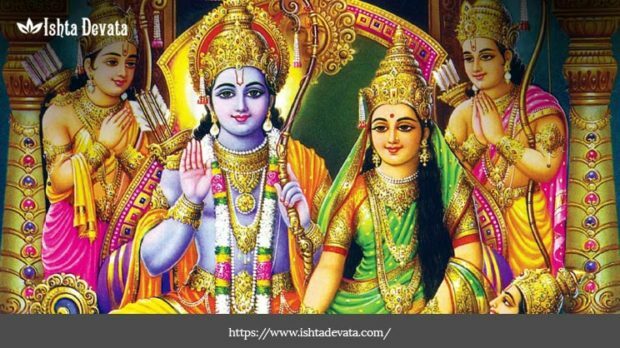 Legend of Goddess Sita and why is she worshipped? Goddess Sita is the wife of Lord Rama, she is also called avatar of Mata Lakshmi. 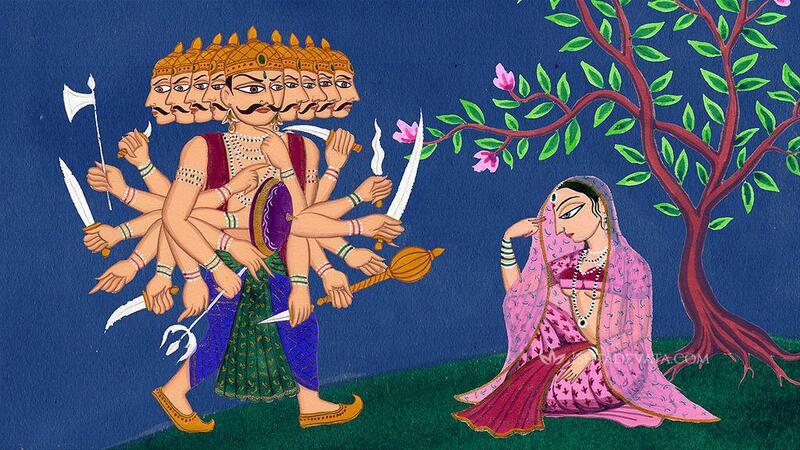 Sita is known for her self-sacrifice, dedication, purity and courage. She is the daughter of Queen Sunayna and Janaka, the king of Mithila. King Janaka was preparing land one day, when he was ploughing the land to conduct a Yajna he found a baby girl in the Golden casket. The ploughed land was called Sita Janmbhumi, hence King Janaka named the baby girl as Sita. 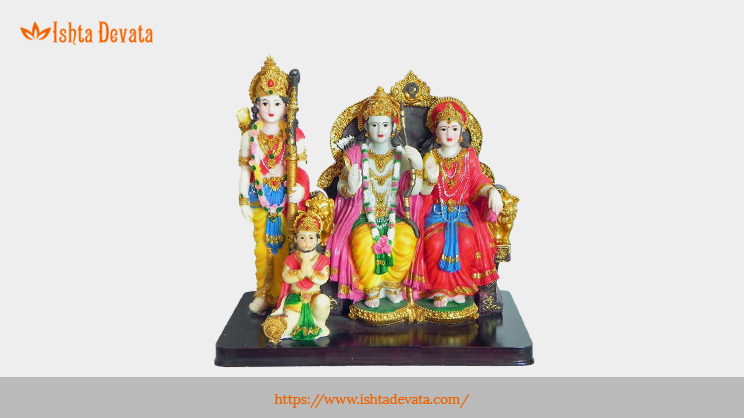 It is also believed that Mata Sita is an incarnation of Lord Vishnu and Goddess Lakshmi. 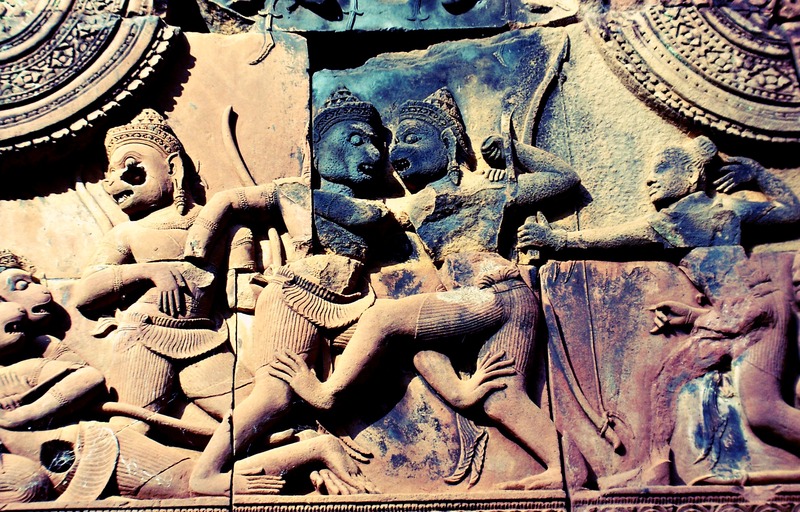 The meaning of Sita is ‘furrow’. She was famous for having a great character. She is worshipped by a million numbers of people. Mata Sita is also known as mortals or mother of gods and all living beings. The worshippers are blessed with growth, intelligence and prosperity. Goddess Sita symbolises purity and fertility. On Sita Navami, Hindu devotees especially married women worship Devi Sita along with Lord Rama and Lakshmana. A small puja mandap is set and decorated with colourful flowers. The idols of Lord Rama, Devi Sita along with Lakshmana, King Janaka and Mata Sunayana are placed in this mandap. As Goddess Sita emerged from a ploughed land, Goddess Earth is also worshipped on this day. Worshipping Sita and Lord Rama together brings happiness and peace in marriage. 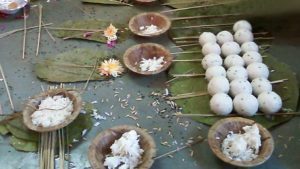 devotees perform the puja by making various offerings in the form of til (sesame seeds), rice, barley and fruits. 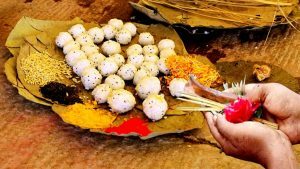 Special ‘Bhog’ is prepared for the occasion that is distributed as Prasad after completion of Aarti. 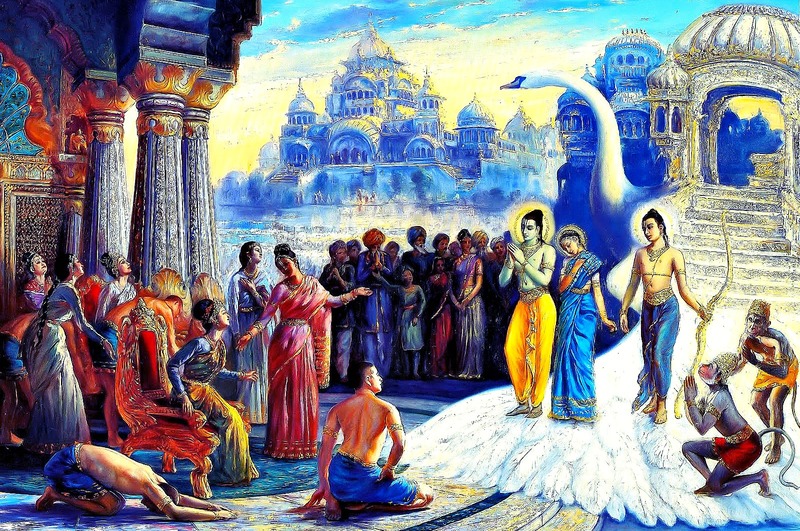 Women observe a strict fasting on this day known as Sita Navami Vrat. A complete fast is observed during the day and not a still grain of food is taken until the completion of puja rituals. It is believed that performing the Sita Navami Vrat brings virtues like modesty, motherhood, sacrifice and dedication in a person. Married women mainly keep this fast for the long life of their husbands. On this day, special rituals and prayers are held in Lord Rama and Janaki temples all across the country. Rituals like Sringar Darshan, Maha Abhishekam and Aarti are performed in all these temples. Recitals of Ramayana, followed by bhajan programs are also held at various places. Few temples even take out processions with the idols of their deity on a chariot, while chanting ‘Jai Siya Ram’ and singing devotional songs all the way. Married women pray to Devi Sita on this auspicious day to be bestowed with Her virtues of purity and sincerity. They seek the blessings of Goddess Sita to remain a ‘Sumangali’ that is, dying before their husbands. By performing the puja rituals and vrat on Sita Navami, it is believed that one will be blessed with a joyful and contended married life. 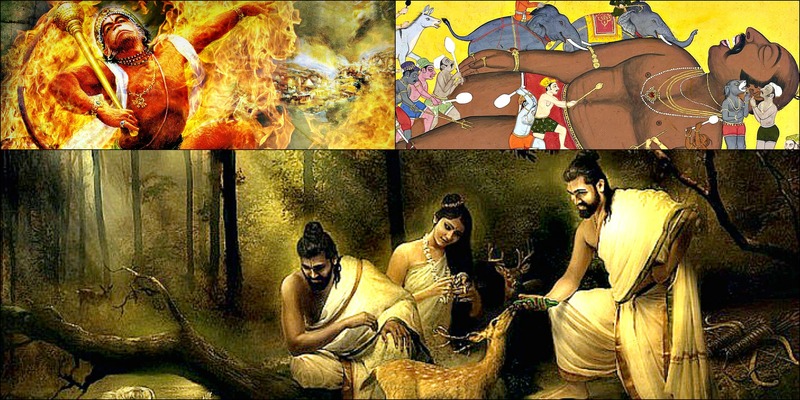 When Ravan Prayed For Ram and Sita 3 Unheard Stories Of Ramayana Diwali: The Story Of God Ram’s Return Was Vali From Ramayana Responsible For The Death Of Krishna In Mahabharata?